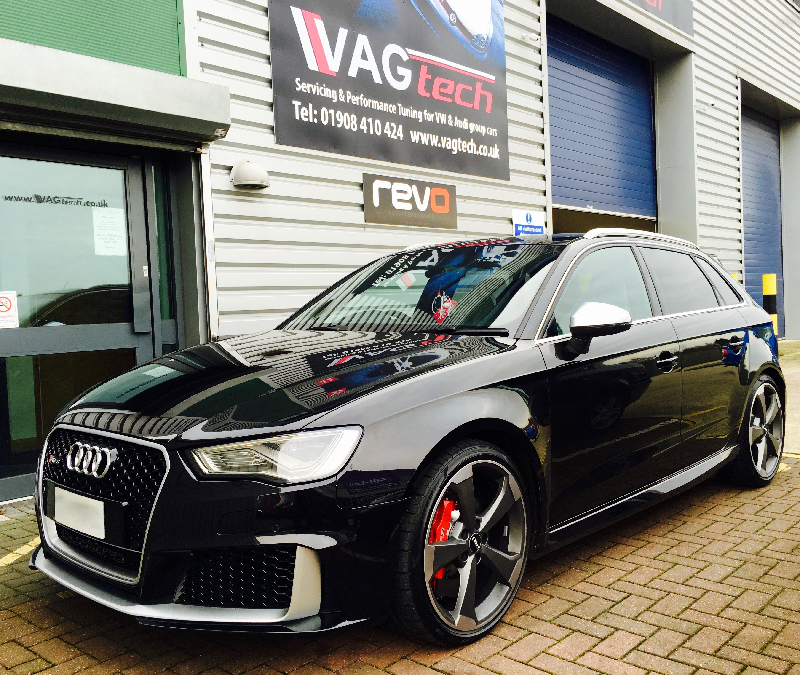 Revo stage 1 installed on new RS3 at Vagtech Revo Milton Keynes. The new MQB platform Audi RS3 sheds 55kg over the previous model, combined with a reworked version of Audi’s 2.5 L five cylinder engine – (the EA855 as it’s known internally) putting out 368ps it’s currently the most powerful hot hatch you can buy. 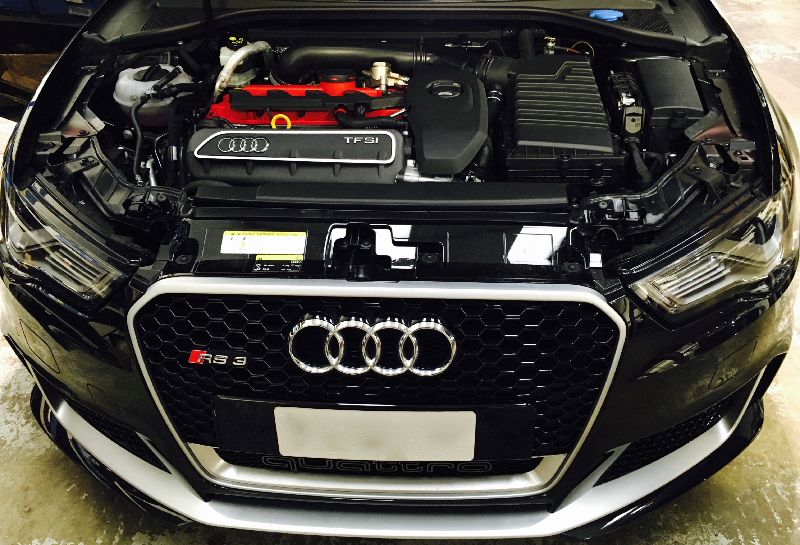 Having extensively tuned and modified our own MK1 RS3 it was an exciting day to carry out the Revo Stage 1 tuning on the new RS3. Needles to say the end result was very impressive, the stage 1 car performs as well as our MK1 stage 2 car with better driving dynamics stronger pull in the mid range and over all a far improved package from the MK1. The team at Revo have developed the stage 1 software to produce some soled results. 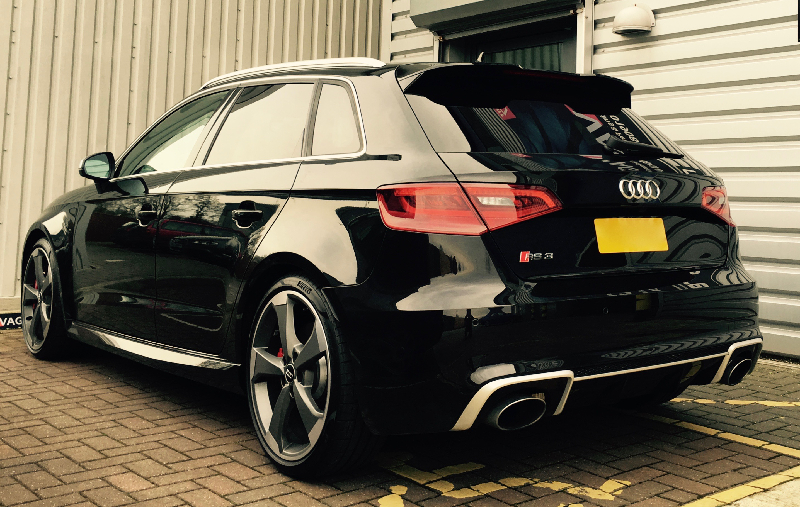 397bhp – 419bhp over the 362 bhp standard. Touque is the real story here up over a 100 Nm this is what you feel in this car. 556Nm – 580Nm over the 465Nm standard. Left foot braking has been enabled on this vehicle. The top speed limit for this vehicle has been unlocked. The Revo stage 1 comes into its own, the additional power and torque doesn’t just increase the already ‘savage performance’; it brings to car to life giving it that extra edge it was begging for. Not only does the Stage 1 car eat up the road in a way you wouldn’t expect, it’s just as comfortable popping to the shops and driving around town. Contact us to discuss your next tuning project or arrange your appointment.